I used my Stamp-A-Ma-Jig to line up the background for the Old Olive piece. I love that stamp! To create two "colors" of blossoms, but still remain within in the parameters of the Dynamic Duos challenge, I stamped off the Rich Razzleberry once on scratch paper before stamping the large bloom. 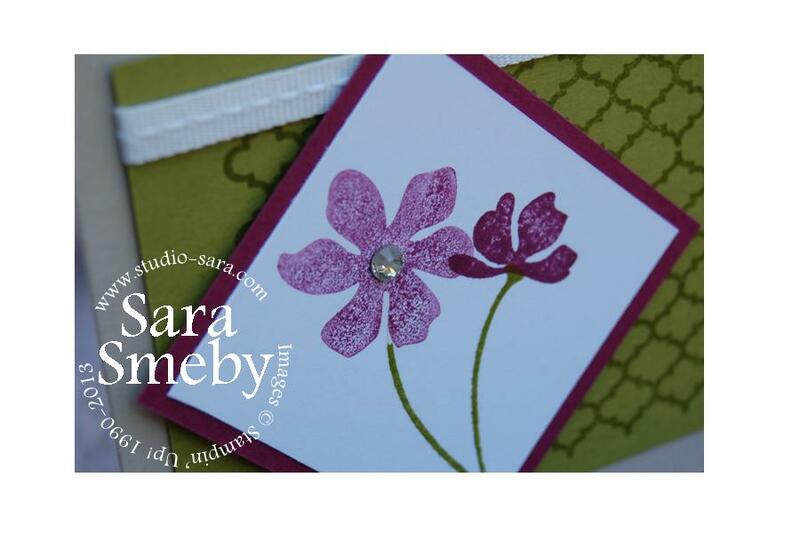 Beautiful card, Sara....and I do love those colors together! So pretty. Love your stamped background! Thanks for playing with us at Dynamic Duos! 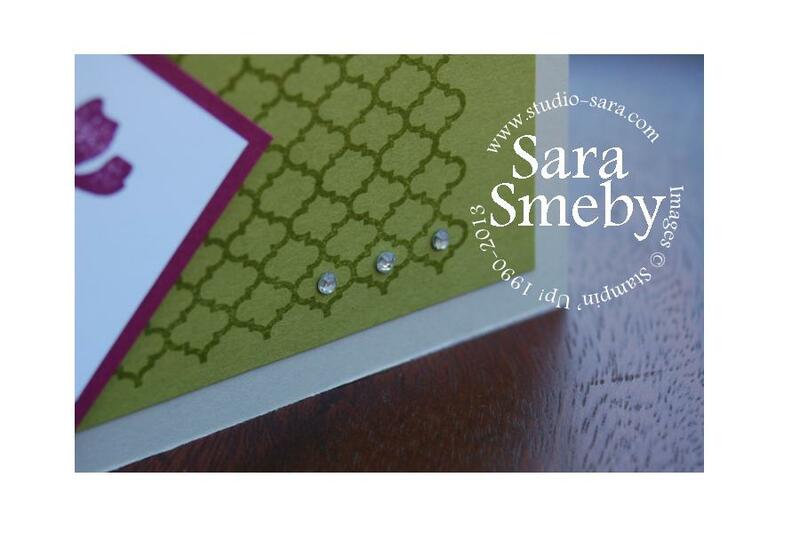 Great card-love the touch of bling!